ENGLEWOOD, Colo. — The Broncos have known since early March that they would play five preseason games for the first time since 2004. Now, Head Coach Vic Fangio and his team know which opponents they will face. The NFL released the 2019 preseason schedule on Wednesday, and Denver will face an NFC West-heavy slate with two nationally televised games as the team prepares for the regular season. The Broncos will compete against the San Francisco 49ers and Arizona Cardinals at home and the Seattle Seahawks and Los Angeles Rams on the road. The Broncos will begin their preseason slate, though, against the Atlanta Falcons in the Hall of Fame game, which was announced in March. Denver and Atlanta will play the game in Canton, Ohio, at Tom Benson Hall of Fame Stadium on Aug. 1 at 6 p.m. MT on NBC. The game will kick off both the 2019 preseason and the Pro Football Hall of Fame’s enshrinement weekend.  Broncos Owner Pat Bowlen and former cornerback Champ Bailey will both be inducted that weekend. Denver will then head back out on the road for its second game of the preseason as they visit Seattle. The Broncos last played Seattle in the preseason in 2015. Denver holds a 10-3 record against the Seahawks in the preseason. The game, which does not yet have a set date, will be held between Aug. 8-12. The team will return to Broncos Stadium at Mile High for the first time in 2019 for a "Monday Night Football" matchup against the San Francisco 49ers on Aug. 19 at 6 p.m. MT on ESPN. Denver will then face the Los Angeles Rams in the team’s final road preseason game. The starting units tend to play at least half of this game, as most teams treat the week as a dress rehearsal for the regular season. Denver will play Los Angeles between Aug. 22-25. The Broncos will conclude the preseason on Aug. 29 with a home contest against the Arizona Cardinals. This year’s game will mark the fifth consecutive season — and the 14th time in 16 years — in which Denver finishes the preseason against Arizona. The dates for the Broncos' games against the Seahawks and Rams will be announced when the regular-season schedule is released in the coming weeks.